Assemble the scattered parts and make the clock complete! 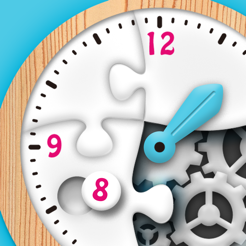 This is an educational app for kids learning how to read time through fun puzzles. 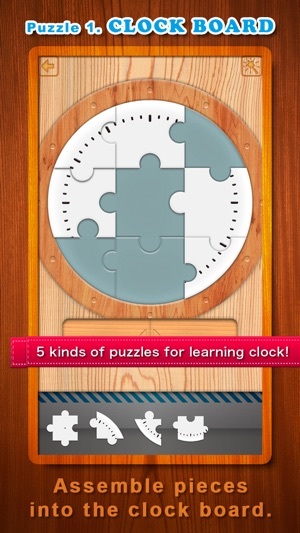 • 5 kinds of puzzles (assembly task) that will help your kids become familiar with clocks. • The clock will be completed when the assembly tasks are cleared in order. 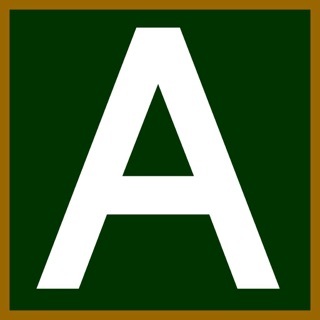 • Each task has 5 difficulty levels. You can take on the challenge in small steps. 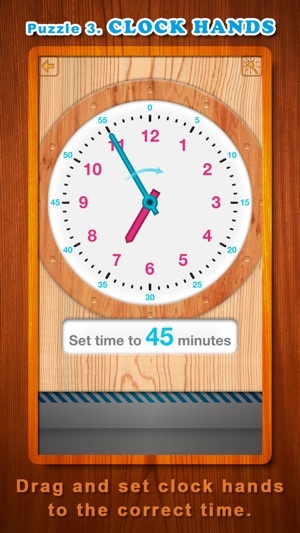 • This app speaks out the time. You can learn with both eyes and ears. • There is a hint button to help solve each puzzle. Assemble pieces to create a completed clock board. > Learning geometry and spatial sense. Set hour or minute numbers on the clock board. > Learning the position of each numbers on a clock board. 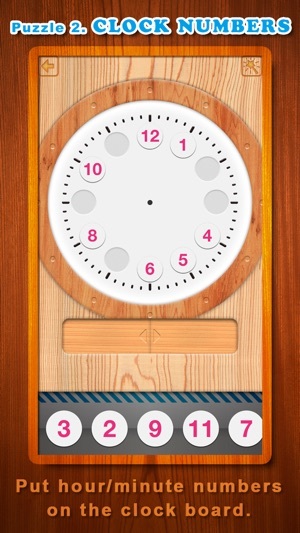 Attach hands to a clock board and drag them to the specified time. > Learning how to set time with an operating hour and minute hand. 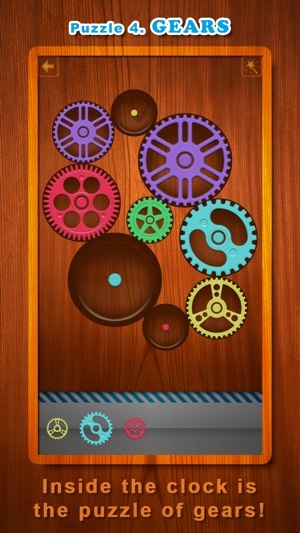 Set gears inside a clock by its size and color. > Learning how to match by size and color. 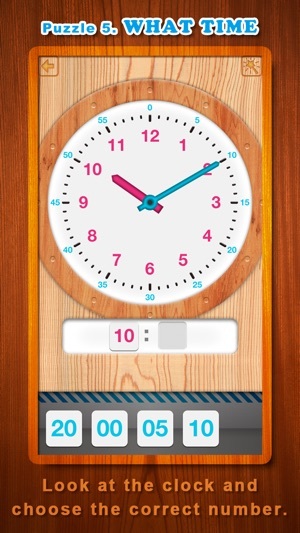 Choose the number of time which the analog clock shows. > Learning how to read a clock. Each task has 5 difficulty levels. You can take on the challenge in small steps. 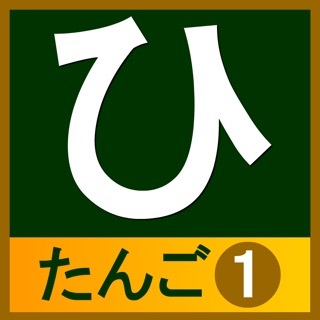 * In the beginning, you can play up to level 2. If you purchase the add-on at the store in the app, you can play all the levels. * Please purchase the add-on from the cart button on the title screen. 5 assembly tasks are cleared in order and a clock is completed. 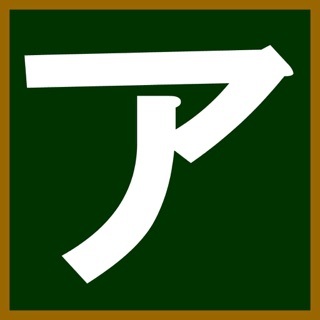 The stages appear automatically according to the child's learning levels. 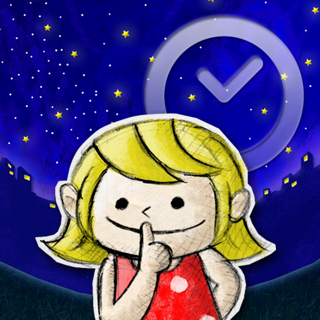 You can select and play a favorite task intensively. 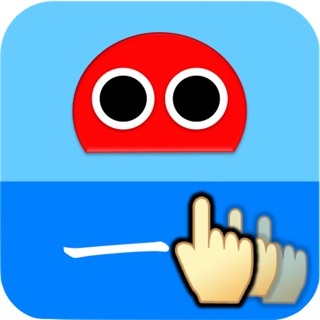 It is the mode suitable for playing only your favorite puzzles or conquering your poor tasks. • Easy for little children to play, enjoy and learn. 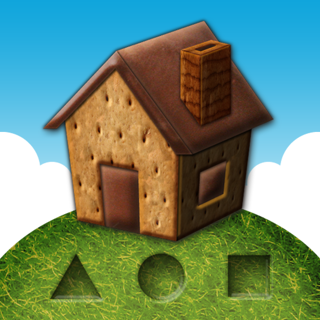 • This app is also designed for children with developmental disorders. The jump from level 1 to level 2 is too difficult. I really wish level 2 focused on time to the half hour, not on anything within 5 minute intervals. Children need to know how to tell time to the half hour before they start learning about 5, 10, 15, 20, etc. increments. Level 1 is perfect using only time to the hour. Level 2 should include time to the hour from level 1 and time to the half hour (6:30, 1:30, 11:30..) ONLY! This is an interesting and different way of teaching time. The progression from simple concepts to more complex concepts is done in a nice fashion. That being said, there should be more opportunities for practice at each level. 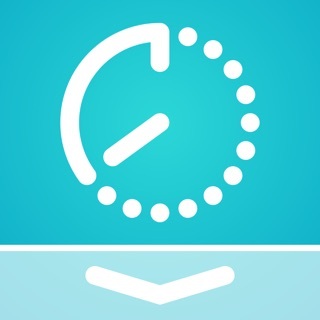 The one main issue with this app is that when naming the time for five after the hour, for example 9:05, it displays the time as 9:5. If this is corrected and more practice items are included, I would certainly change my rating to 5 stars. Found while searching for Tangram puzzles. Experience with Free version, and this description, shows Tangram is not an appropriate category for this app.